If you didn't know that someone named Jill Stein is running for president, it's because she's the Green Party's nominee. The two-party electoral landscape of the U.S. is harsh territory for third parties, which generally can't access anywhere near the funding, media attention, or debate presence as major-party candidates. But Jill Stein is in fact running for president, and she has a bold proposal for Sen. Bernie Sanders: defect from the Democratic Party and collaborate with the Green Party to help them win. What would that collaboration look like? Is a Stein-Sanders presidential run possible? Unfortunately for Stein, the Green Party, and progressive voters who swoon at the sound of that ticket, Sanders is not likely to heed Stein's call. In this hour of unprecedented crisis ... can we explore an historic collaboration to keep building the revolution beyond the reach of corporate party clutches, where the movement can take root and flourish, in the 2016 election and beyond? It's a wonderful flourish, but when it's over, it's over. And the party continues to march to the right. These reform efforts within the Democratic Party feel good for those who participate, but at the end of the day, they have not built a foundation for the future. 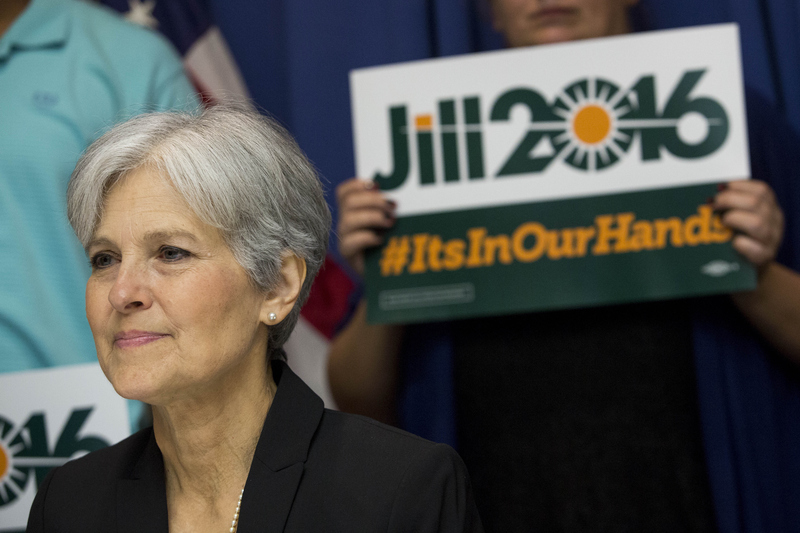 For Stein, real change happens outside the two-party system. And she wants Sanders in on that. But there are no reports of Sanders responding to Stein's request. That Sanders might ignore the request is perhaps not surprising, considering that, since the very beginning of his campaign, he has held that he will not run as an independent against Clinton if she gets the Democratic nomination, citing the horror of a Republican presidency as the reason. His wife Jane Sanders reiterated this position on April 26, after Sanders lost four out of five primaries that day. If Clinton and Sanders were both running against Trump, they'd split the Democratic and left-leaning votes, making it more likely Trump would win. Given his concern about the spoiler effect, it is unlikely that Sanders would support or endorse any third-party bid, let alone get on the Green Party ticket himself. We can expect to see Stein's prediction that Sanders' revolution will die with his bid put to the test if he isn't the Democratic Party's nominee.